Media Play Air is the PUP that uses misleading techniques to prevent removal. Use Reimage to locate malicious components and get rid of them faster than with uninstall instructions. A full system scan blocks virus reappearance and prevents traffic to malicious domains. 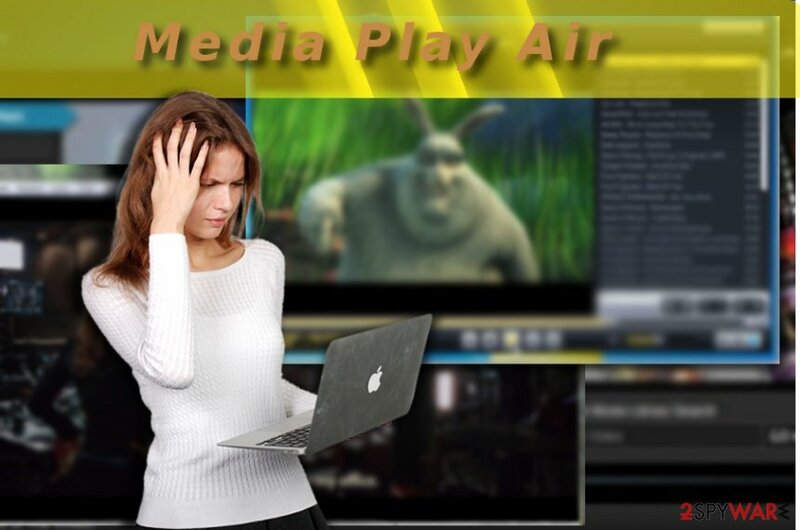 Media Play Air attracts users by promoting the compatibility with a number of video format types. In order to attract a number of visitors, the authors of such application partner with shady online companies which promote their product. However, such cooperation may lead users to frustration as an earlier-mentioned redirect tendency might threaten the PC. 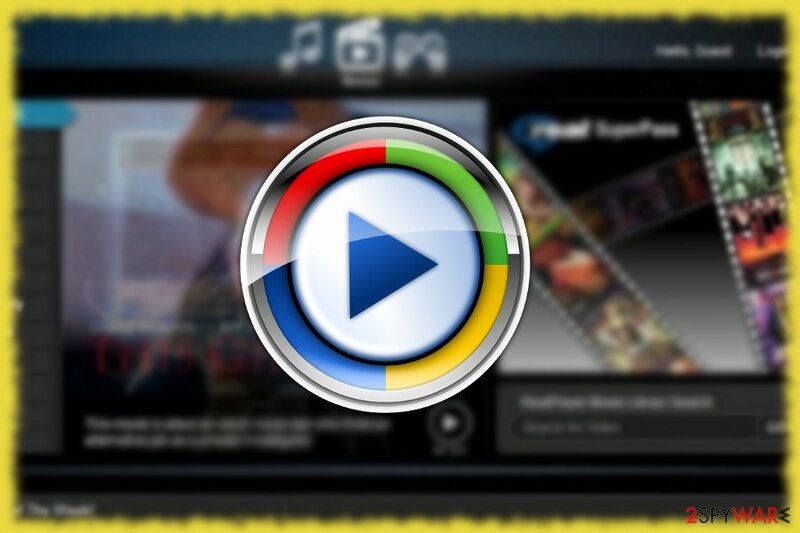 Thus, if you notice the excessive amount of Media Play Air ads advertising this video application, your browser might have been plagued with adware. In that case, you will need to clean the browser. Speaking of Media Play Air hijack, you might unintentionally install it yourself while installing another free application. It is a common mistake to opt for “Recommended” settings which, unfortunately, deprive users of spotting the app on time. Next time you install a new program, make sure you choose “Custom” mode. Unmark irrelevant add-ons and proceed further. Since it operates as an independent application, you can remove Media Play Air virus by uninstalling it via system Settings. In case, you got puzzled identifying the right program ti delete, let an anti-spyware application to perform Media Play Air removal for you. Even if you choose automatic elimination method, it might be worth taking a look at the below manual instructions. They explain how you can reset the browser and eliminate injected adware scripts. Here, look for Media Play Air or any other recently installed suspicious programs. Wait until you see Applications folder and look for Media Play Air or any other suspicious programs on it. Now right click on every of such entries and select Move to Trash. While performing these steps, pay attention to every detail. In addition, inspect your browser whether Media Play Air did not append new ones. Uninstall unwanted and shady extensions in order to complete the eradication of the PUP. When in the new window, check Delete personal settings and select Reset again to complete Media Play Air removal. Once these steps are finished, Media Play Air should be removed from your Microsoft Edge browser. Here, select Media Play Air and other questionable plugins. Click Remove to delete these entries. Now you will see Reset Firefox to its default state message with Reset Firefox button. Click this button for several times and complete Media Play Air removal. Here, select Media Play Air and other malicious plugins and select trash icon to delete these entries. Click Reset to confirm this action and complete Media Play Air removal. Here, select Extensions and look for Media Play Air or other suspicious entries. Click on the Uninstall button to get rid each of them. Now you will see a detailed dialog window filled with reset options. All of those options are usually checked, but you can specify which of them you want to reset. Click the Reset button to complete Media Play Air removal process. 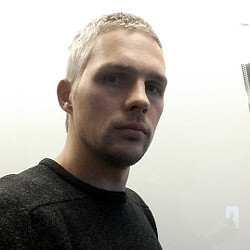 ^ Lee Mathews. New Mac Malware Found Hiding In A Fake Adobe Flash Update. Forbes. Lifestyle, Security, Finance, Politics . This entry was posted on 2017-05-12 at 08:38 and is filed under Adware, Viruses. You can quickly scan the QR code with your mobile device and have Media Play Air virus manual removal instructions right in your pocket. How did you remove Media Play Air virus?